To this day, Hollywood is mostly made up of white actors. There have only been a few African-Americans, Mexicans, and Asians who were able to break into the Hollywood spotlight. March is Women’s History Month, and it honors the women of diverse ages and races who have made groundbreaking changes. To celebrate this month, Old Hollywood Spotlight commemorates America’s first Chinese-American movie star: Anna May Wong. During the 1920s, there was a cultural shift. Women had slightly more freedom than they had in decades past: having short hair, wearing pants, dancing to jazz, and smoking. It was during this time that Hollywood let itself be changed a little by welcoming a non-white actress into the spotlight. However, there was still prejudice, and she was not given many leading roles or characters of her own background. Leading roles were hard to find because the law prohibited kissing a co-star of a different race. It wasn’t until 1924 that Wong gained widespread popularity when she appeared with co-star Douglas Fairbanks in the movie The Thief of Bagdad. 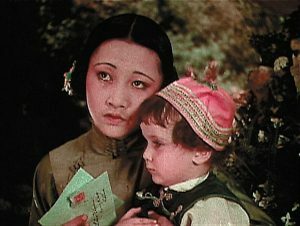 After her first major role, Wong appeared in the 1927 films Old San Francisco and Chinatown Charlie and in the 1930 film The Flame of Love. Hollywood, however, took her talent for granted. Americans considered her “too Chinese” but didn’t hire her to play Asian characters. Hollywood did not hire Asian actors to play characters of their own race, but white actors were instead given “Asian-inspired” makeup and costumes to look like Asians. This occurred in the movies The Good Earth (1937), with Caucasian actress Luise Rainer, and The Crimson City (1928), with Myrna Loy. Anna May Wong in Toll of the Sea (1922). Seeking to be recognized for her beauty, charm, and talent, Anna May Wong decided to try her luck in Europe. Her “finest” portrayal was in Piccadilly (1929) as the maid who becomes a successful dancer thanks to a London nightclub owner. 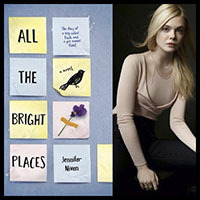 In England, she starred in the play A Circle of Chalk, and she became a movie and theater star in France and Germany. Wong was named “the best dressed woman in the world” and “the world’s most beautiful Chinese girl.” Back in Hollywood, her most recognized role came in 1932 with the movie Shanghai Express (1932) with actress Marlene Dietrich. 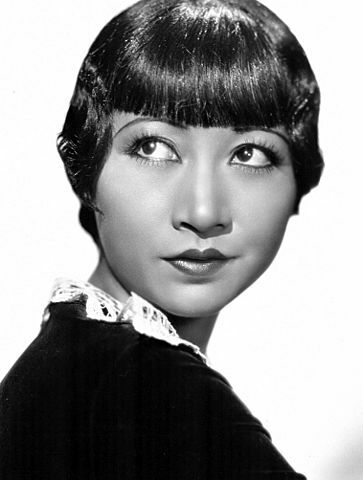 Although Anna May Wong was typecast as a slave, victim, or “dragon lady,” she appeared in a combined total of 63 movies and TV shows from Hollywood, Berlin, and London. In 1960, she received a star on the Hollywood Walk of Fame, and the following year Wong died of a heart attack at age 56. Her beauty and talent may have been taken for granted in the United States, but Europe recognized her acting abilities. Since her start in the 1920s, appreciation for Wong’s work as a star has grown, and in 2013, PBS made the documentary Anna May Wong: In Her Own Words. Despite the prejudice in the American film industry, Anna May Wong proved her acting strength in the US and in Europe, and she became Hollywood’s first Chinese-American actress who would pave the way for others.